The Zeiss OPMI Pentero surgical microscope features apochromatic optics that deliver crystal-clear images, sharp details, and natural colors. The OPMI Pentero has 20% more light than previous models with spot illumination to precisely adjust the light cone. The Pentero has integrated high-speed autofocus that automatically delivers sharp images regardless of magnification. 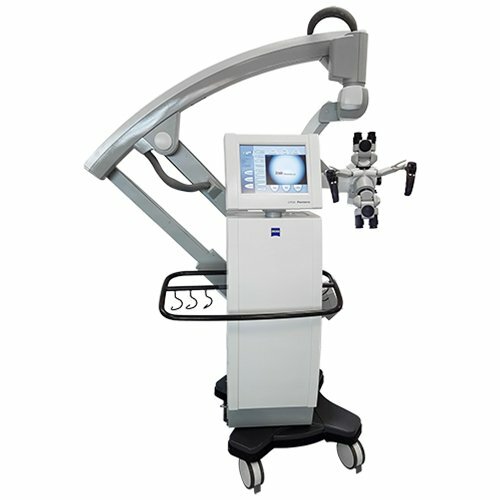 With the overhead design of this microscope, the suspensions system can be placed in any position, even behind the surgeon.